When you need to insulate your attic in the Atlanta area, you can trust in the company local residents have trusted for more than a decade – Arango Insulation. We have a wide variety of attic insulation products with options for any need and budget, with skilled and highly trained installers who are among the fastest in the industry. Whether you just need some loose fiberglass retrofitted on your existing fill or are looking to replace worn out fiberglass batts with high R-value spray foam, there’s no place better to get the insulation products you need than Arango. 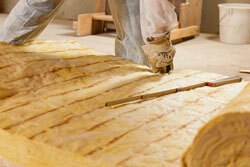 In addition to standard insulation types, we also offer radiant barriers, the latest in modern attic insulation. This foil barrier will insulate your attic against radiation which normal foam, fiberglass, and cellulose attic insulation can’t block. No matter which type of attic insulation you need, you can trust that your investment is well protected with Arango’s 1-year labor warranty. In fact, our commitment to customer satisfaction has helped us earn both an A+ rating with the Better Business Bureau and the Consumers’ Choice 2010 Award for Business Excellence. For more information on how Arango Insulation can insulate your attic in Atlanta, Roswell, Johns Creek, Vinings, Buckhead, Dunwoody, Sandy Springs and other surrounding communities, contact us today.